Résultats de votre recherche: "taylor swift"
Lance Bass and Jordin Sparks interview Taylor Swift on the red carpet at the American Music Awards 2013. She discusses her AMA nominations, being named the biggest Pop Star in the world by New York Magazine and her new movie. 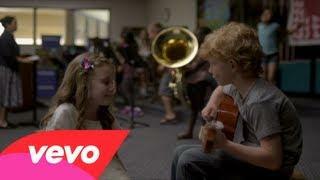 Music video by Taylor Swift&Gary Lightbody performing The Last Time. (C) 2013 Big Machine Records, LLC. Buy Now! iTunes: https://itunes.apple.com/us/music-video/22/id617167262 Music video by Taylor Swift performing 22. (C) 2013 Big Machine Records, LLC. Lance Bass and Eden Sher interview Taylor Swift on the Red Carpet of the 2012 American Music Awards. Taylor discusses her new single "I Knew You Were Trouble" and the success of her album RED.